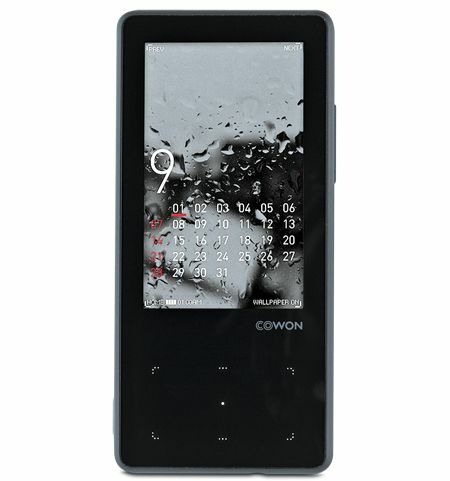 Cowon i10 review | What Hi-Fi? Will the portable media player soon be a thing of the past? Smartphones and do-it-all internet-enabled devices have rendered the idea of carrying a separate device for music and movies redundant for many folk. But affordability, battery life and portability are three crucial factors that remain on the side of simple multimedia players. Decent price, but does it do enough? At £100 for 8GB of flash memory and offering music and video playback, an FM radio, voice recorder line input and TV output (with optional cables), the Cowon i10 looks like decent value. It claims to last up to 38 hours for audio and over 6 hours for video, too. It’s less impressive when it comes to portability, though: three times the size of the iPod Nano, it’s not too pocket- or exercise-friendly. The upside is a much bigger screen – a 3in, 400 x 240-pixel LCD. For its bigger dimensions it’s still light and slender, with a smoothly tapered finish that feels comfortable in the hand. Capacitive touch controls let you slide your way around the interface, though what each button does on each screen could be clearer. It sounds decent, too. Listening to Clock Opera’s Belongings, there’s decent detail and a good sense of space. Bass notes sound a little soft, though, and drums aren’t quite as crisp as rivals. Video is a little rough round the edges and noisy – which is a shame considering the size of the screen. If you get on with the size and welcome some of the extra features, this could work. But better sound and a more enjoyable user experience can be yours for similar money.